Eight players scored in double figures on Friday evening as the Philadelphia 76ers rolled through the Wizards 123-98 for their fifth loss of over 20 points this season. Joel Embiid led the Sixers with 16 points and 15 rebounds and Ben Simmons had a near triple-double with 13 points, 8 rebounds and 10 assists as this game was decided by halftime with Philly barely needing to break a sweat against a Wizards squad missing Dwight Howard and Otto Porter. We’ve all seen this movie before. Washington didn’t bring any effort on the defensive end nor the defensive glass and before you knew it, the Wizards found themselves in a 25-14 hole. Philly didn’t shoot particularly well as they were just 11-of-29 from the field in the first quarter, but Washington gave them plenty of second-chance opportunities. The 76ers corralled nine offensive rebounds off of their 18 misses — a 50 percent offensive rebounding rate — leading to easy putbacks from close in. And for the umpteenth time in this season, the Wizards found themselves in a double-digit hole at the end of one quarter as they trailed 31-19. After a Jimmy Butler steal and a dunk 90 seconds into the second quarter, the Wizards found themselves in an even deeper 18-point deficit, 37-19. But you know the drill now. Washington locked in defensively for a couple of minutes and was able to trim the deficit to nine, but Philly countered with 20-7 run to close the half as the rout was on 68-46 at halftime. Scott Brooks yanked the starters with three minutes remaining in the third quarter as the lead ballooned to 31 and it became clear it was time to shift focus to Saturday’s game against the Nets. 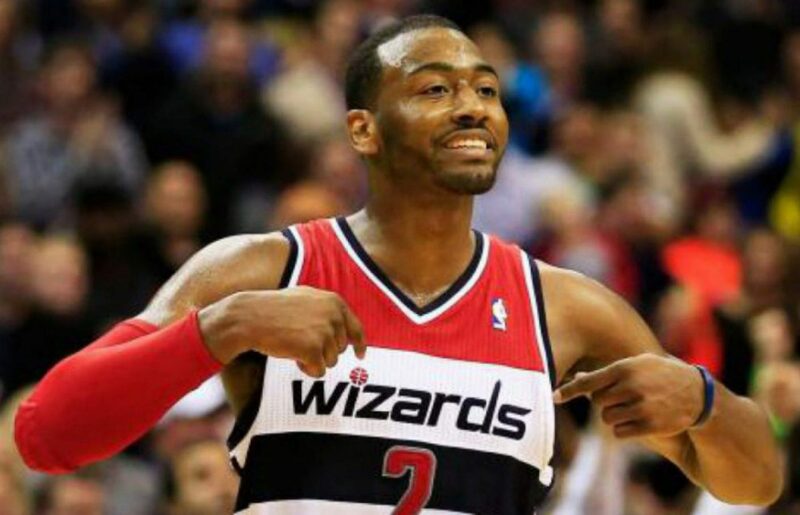 All of the Wizards poor habits were on full display tonight. Terrible defense, poor shot selection, no effort on the glass –- the list goes on and on. I think we’re all getting serious #contentfatigue talking about this team’s flaws over and over again so let’s check in on the young guys why don’t we? Thomas Bryant got his sixth start of the season and after he was tasked with checking Anthony Davis on Wednesday, he had to try to lock down Joel Embiid tonight. Like we’ve seen with Bryant over this stretch, his skill-set won’t wow you but it’s the intangibles that catch your eye. Early on after a nice defensive possession, Bryant sprinted the floor beating Embiid down court and John Wall rewarded him hitting the big man with a nice pass for an easy dunk. In the second half, there was a defensive sequence where Embiid caught the ball on the low post and started backing down on Bryant. Bryant was able to stand his ground and challenged Embiid, swatting his shot away. Yes, it was just one play and Embiid clearly won the head-to-head battle; however, it was a pleasant sight seeing the second-year player attempt to challenge Embiid. Up until tonight, Troy Brown Jr. had only seen the floor in garbage time of blowout games. But due to the Wizards being shorthanded with Porter out, combined with some early foul trouble, Brown ended up getting 4-plus minutes of meaningful playing time late in the first quarter and early into the second. In his ‘welcome to the league, rookie’ moment, Brown was tasked with guarding Jimmy Butler. All things considered Brown did about as good of a job as you could have expected. He was sound defensively, played under control, and aside from one turnover in semi-transition, played fine during that 4:18 stretch. Brown’s individual highlight in non-garbage time came on a backdoor pass to a cutting Tomas Satoransky for a reverse layup. Brown re-entered the contest when this game reached garbage time late in the third quarter. He ended the night with 6 points, 6 rebounds, and 5 assists. If there are any positives to take away from tonight, it’s that Brown was able to get more experience and a few real NBA minutes.